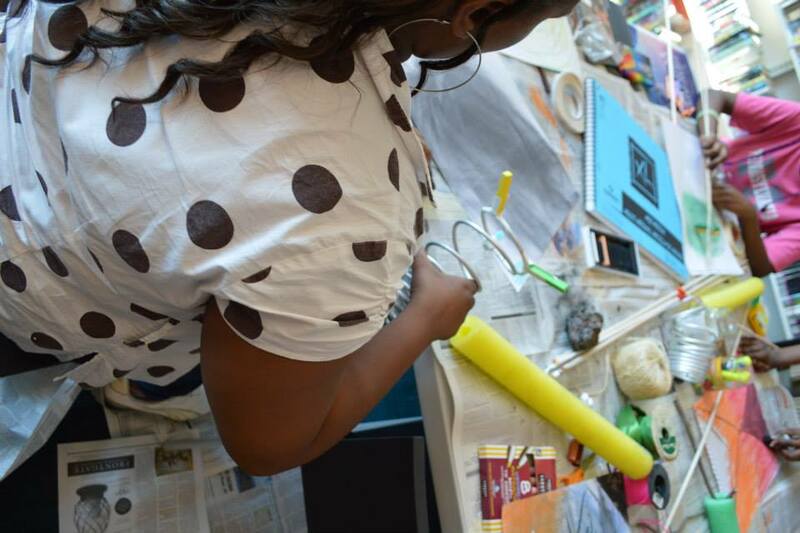 A workshop that allows students to create tools from different materials and then create drawings with these tools. The aim is to draw in experimental and unusual ways to both free up the artist and free up the materials. It is playful, inventive, and exciting. Materials include rocks, pastels, paper, clay, paper, and fingers, hands, hair, feet, mouths, breath, movement.